Bolton does not understand the power of sophisticated U.S. diplomacy articulating our values and creating pressures in concert with our global allies to hedge in foreign threats. Ambassador John Bolton is about to serve as the U.S. national security adviser in the Trump White House. He is incredibly intelligent, he has enormous policy experience gained from decades of engagement, and he knows the global foreign policy terrain and the principal actors. He writes and speaks persuasively. He is a man of principles. He also scares the hell out of many of us. Ambassador Bolton rightfully is a determined advocate of U.S. national interests. He decries the danger to the American people from the growing menace of weapons of mass destruction and cyber warfare in the hands of the North Koreans. The Iranians will eventually be a nuclear power with unconstrained programs of missile development. 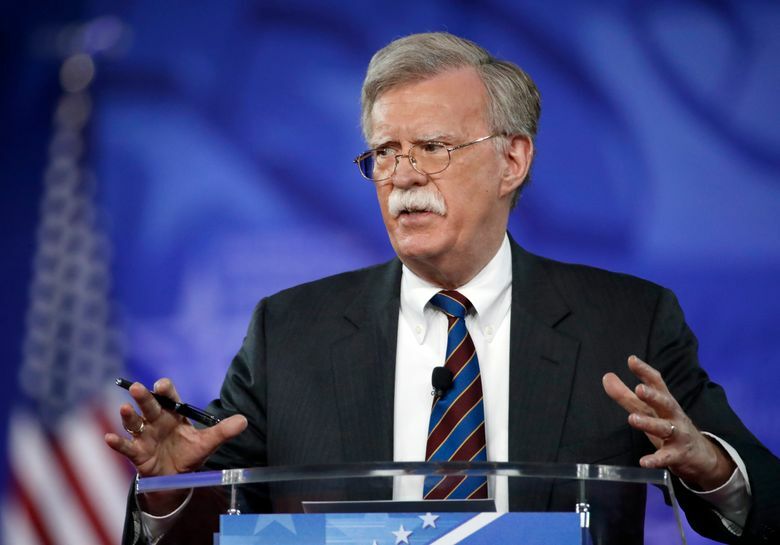 Bolton sees only too clearly the danger of a hostile Russia with Vladimir Putin leading a newly aggressive and corrupt authoritarian regime with a crash program of rearmament. He can see that China is building global naval and air power and modernized ground forces that represent a clear threat to their very worried neighbors. 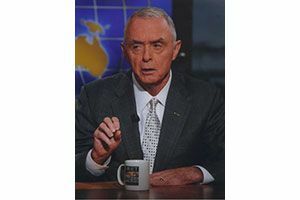 A Seattle resident, Barry McCaffrey served in the U.S. Army 32 years, retiring as a four-star general. He was the most highly decorated serving general, having been awarded three Purple Heart medals and twice awarded the Distinguished Service Cross, the nation’s second highest award for valor. He appears on NBC, MSNBC and CNBC. The central concerns with Ambassador Bolton are threefold. First, he does not seem to value and respect the enduring power of the alliances that the U.S. has created and nurtured in the 70-plus years since World War II. Our NATO allies, the Japanese, Australians, South Koreans, Israelis, Thailand and countless others have come to rely on U.S. leadership of the great democracies, and the nations of goodwill and common interest. The most fundamental aspect of U.S. security comes from our geographic good fortune of living between Canada and Mexico. Our two NAFTA partners are central to our economies. Our shared 8,000 miles of frontiers with Mexico and Canada also present the miracle of two nations that are zero military threat to the U.S. We crucially benefit from huge flows of trade and people and ideas across our open NAFTA borders. Second, Ambassador Bolton does not understand the terrible uncertainty that accompanies the use of our massive U.S. military power to deal pre-emptively with national-security threats. If we initiate a preventive war attack on North Korea to destroy its nuclear threat with conventional U.S. air power, it will be a humanitarian disaster for the entire Korean Peninsula and Japan. We would without question destroy the North Korean armed forces in under six months. The ground battle would be fierce and bloody, but we would prevail. However, Korean civil destruction would be appalling, and military casualties would be severe. As Kim Jong Un loses personal control of his unraveling cruel regime, we should expect he would go nuclear with the weapons the U.S. did not find and destroy. North Korea would target U.S. military forces in Japan and Guam and Hawaii — with the explicit threat of a follow-on strike on the U.S. mainland. At that point the U.S. would logically conduct a pre-emptive tactical nuclear strike on remaining North Korean missile capabilities to preclude the death of several million Americans. Disaster. This is a road not to be taken. Third, Ambassador Bolton does not understand the power of sophisticated U.S. diplomacy articulating our values and creating pressures in concert with our global allies to hedge in foreign threats. The U.S. diplomatic tool is made robust because it is backed by the deterrent power of our 2.1 million men and women of the Armed Forces. Our so-called “soft power” includes very muscular instruments of covert action, backed up by our gigantic economic power. The principal officers of the National Security Council and Congress must exercise their constitutional roles and rein in the impulsive and dangerous policy decisions that may result from an unconstrained president and a bellicose national security adviser. We could be walking up to the edge of the abyss in the coming year. I have served closely with three presidential administrations, both Democrat and Republican, in the national-security arena. The model White House national-security advisers were public servants like Condoleezza Rice, Steve Hadley, and Brent Scowcroft. Thoughtful, neutral umpires of competing policy options for the president, trusted in the interagency process and civil in their dealings with others who work under the incredible demands of exercising U.S. power. That is not what we are getting in Ambassador Bolton.